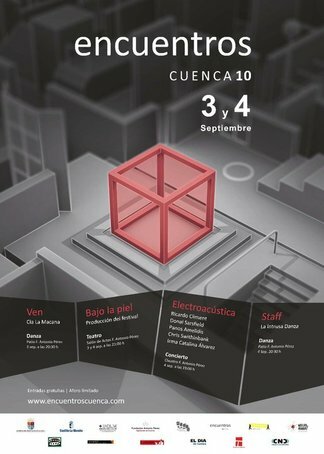 Two of my tape pieces Para cruzar el sueño and the brand-new La leggerezza delle città will be performed on the 4th of September at the Encuentros Cuenca festival in Spain. I’m very grateful to Irma Catalina Álvarez and the rest of the festival organisers for commissioning La leggerezza delle città and flying me over to see the marvellous festival for myself. I can’t wait. Fellow adoptive Mancunians, Panos Amelides and Donal Sarsfield, are also having works premiered at Encuentros and University of Manchester lecturer Ricardo Climent features in the concert of electroacoustic music as well. The festival also includes performances of experimental dance and theatre, with all the events taking place at the Fundación Antonio Pérez, a gallery of contemporary art.